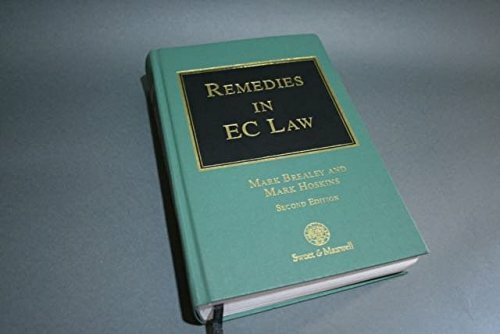 Remedies In Ec Law: Law And Practice In The English And Ec Courts: 9780752004693 Hardcover - LIMEROCK BOOKS INC. This book provides a clear, concise and detailed explanation of, and guide to, the protection of Community rights in national and Community courts. Practitioners should reach for this book as soon as they spot an issue of Community Law. The Law Society's Gazette (on a previous edition).